In the last post, we looked at Clipper to quickly and simply grab information from the web, right into OneNote. In this post, I’ll show you how to continue to customize OneNote with add-ins. It’s probably the best kept secret as finding OneNote add-ins is not the easiest task. For sure, you won’t find any if you are not explicitely look for them (tip: Microsoft should put a link to the add-ins page on the first page of the onenote.com site). Not really for us mere mortals, but it’s true that add-ins are the realm of developers. 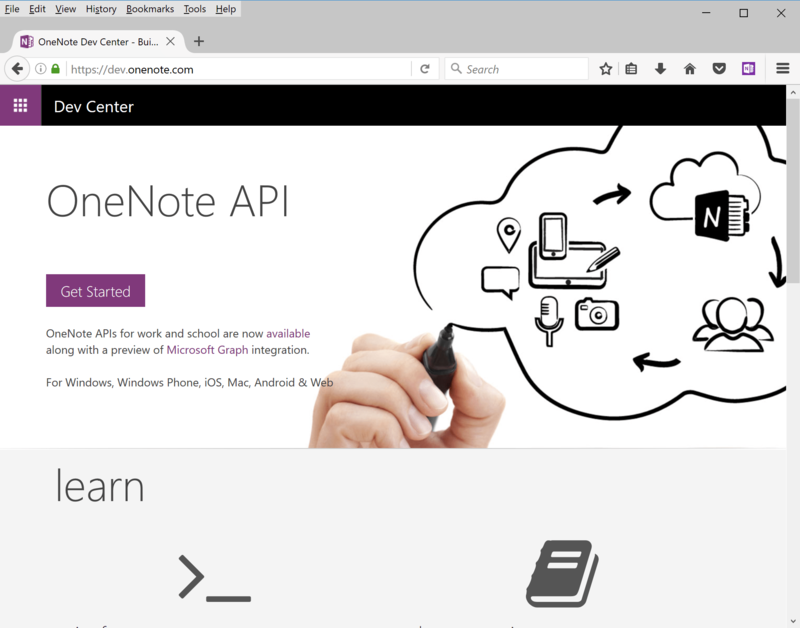 Thanks to the OneNote API (Application Programming Interface), available at https://dev.onenote.com/. Think beyond the PC if you’re a developer as you probably know by now that OneNote exists on almost all platforms. 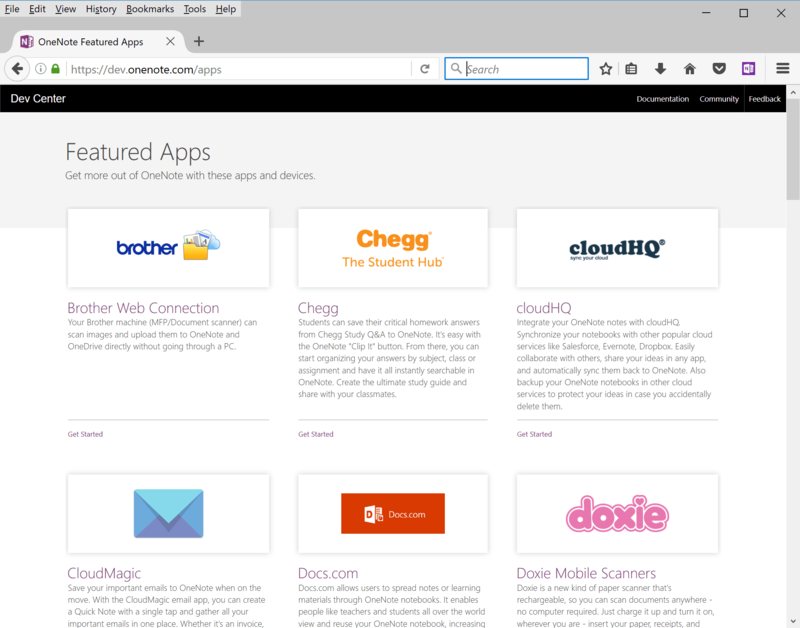 This allows apps to use OneNote as a destination or a source of information to automate any relevant tasks. I’ve left the developer’s world a while back, but I’m an avid user of OneNote and add-ins are a great way to use OneNote for various additional tasks. So, if you scroll down the developer page, you will find the link to go to the featured apps (alternatively, you can click here). You can browse through all the available add-ins on this page, here are my preferred ones. Those I’m using almost on a daily basis. OneNote Clipper. I wrote about it, just loving it to save web pages right into OneNote. Office Lens. Take a picture, enhance it and integrate automatically right into OneNote. A great way to save flipchart notse. Email to OneNote. Forward emails or send documents right into OneNote at me@onenote.com. Just to easy! OneNote Class Notebooks. For educators, a simple and powerful way to create a course, share it with your students for immediate collaboration. There are tons of other add-ins, those are just the ones I’m using. However, the cool thing about add-ins are to see OneNote considered more and more as the most powerful tool for note taking. Enjoy and let us know any specific add-ins you are using! Next Article The Office Productivity Blog is back online! I’m using it everyday with the calendar and others macros you could download.